I am a “yes” person. I readily give my yes to most requests; however over the years I have learned that “no” is an appropriate answer as well. So many times, when I’ve said “yes” hastily, I find myself overwhelmed, and in a place of regret and re-evaluation. Now I pause, before I give assent to an opportunity. As a writer and artist, the skill of saying no and meaning it is crucial. 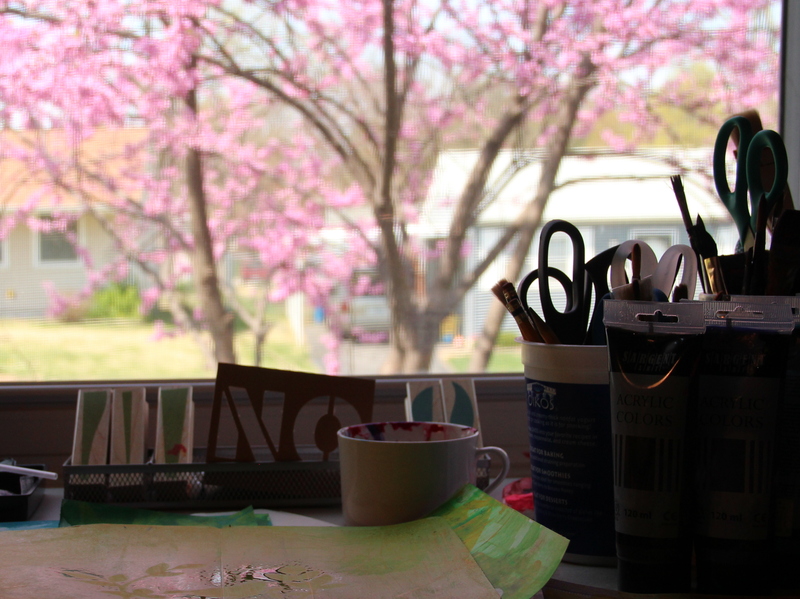 If I said yes to everything I would never write and I would never enjoy my art studio. As a created, creative person I have learned what primes my pump and I know what fuels my enthusiasm for my work. I need a balance between solitude and community. Today, I am choosing to say yes to a community that will be saying yes to reading, responding to and re-visioning our writing lives around Dave Harrity’s book, Making Manifest: On Faith, Creativity and the Kingdom at Hand. Our host for this interactive group is Sandra Heska King, a fellow blogger and word lover, who serves up sweet morsels of life at her place, where she focuses on the “still” life. Check out these two recent posts from Sandra to get a flavor of what she offers. and a reflective poem, I penned in response to these thoughts milling around in my head. Sandra- Thanks again for the invitation…I totally relate to all the reasons you mention for being a Yes person…I am glad that God gave us the freedom to say yes and no. Thanks about the poem…I kinda am smitten with it, too…thanks be to God for his new and fresh mercies. WHat? I will have to check it out! Love your (w)ords always, Kel! ha! I think I have to say no at the moment but do love the bent of it! So glad you said “yes” to this one Kel. It is always a blessing when we are together on a journey! This one looks to be just what God is calling us to at such a time as this. All I can say is thank God for His kindness that leads me to repentance and that I am finally learning His lessons that saying no at times is his best for me! Selah! This sounds like such a wonderful thing to say “yes” to. Good for you! It is hard for me to say “no” also, but I am better about it than I used to be. There are too many opportunities out there to do them all so we have to learn to be discerning. Easier said than done at times…but every little bit of progress adds up. Yes, learning when to say yes or no is a lifelong journey! But I can ‘eavesdrop’……..yay! I’ll be back. I so look forward to this conversation. “LIFE is just too full.” Sheesh–apparently my brain is too full as well. so glad you know your limits, Jody! Glad you can eavesdrop…it’s going to be a great conversation…just three days in and I sense God freeing me up and rejuvenating my writing life. Such a wonderful poem and point of focus! We need to listen and be mindful, to know when to answer Yes and No.